The food supply chain continues to grow rapidly, with consumers now expecting exotic foods, fresh on their plates, year round. This has extended the supply chain geographically and across many more parties, making the supply chain longer and more complicated than ever. Producers, manufacturers, distributors, logistics providers and other parties are under pressure to get their products to the market quickly, safely, and in the best possible condition. That’s a major challenge. If any one of these stages is compromised, a variety of issues will arise and the whole supply chain will be in jeopardy. Let’s look at some of the issues that food supply chain managers need to deal with, and how they can be fixed. Traceability, or the ability to track the food product through all stages of the supply chain, is now more of a demand rather than a request among many consumers today. Many consumers now want to know where all products and their ingredients, even the trace ones, come from. This makes it more important than ever to have good data on food products and your supply chain. Having and sharing authentic information from each and every step of the food supply chain enhances food safety, strengthens brand integrity, and increases customer loyalty. Lack of traceability and transparency, on the other hand, can create blindspots in your supply chain and expose you to unnecessary risk. It can weaken consumers’ trust in your brand, which can translate into lower sales and profits. It can even give rise to certain legal issues that can stall new product launches. 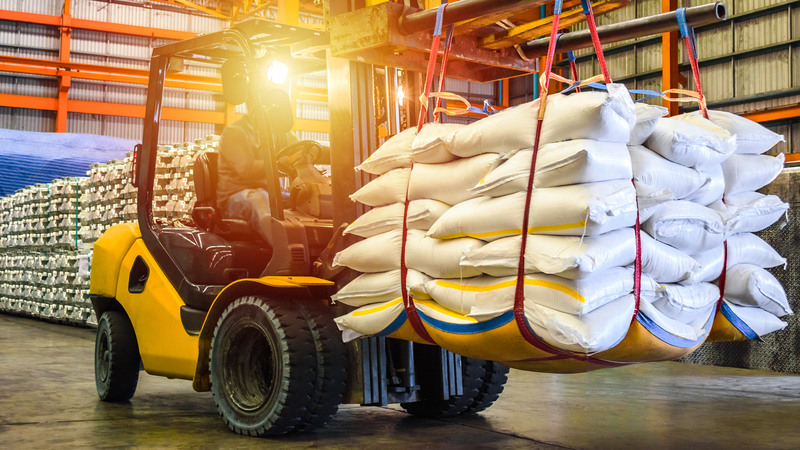 The lack of traceability in the food supply chain is typically caused by companies using outdated systems or traditional paper tracking and manual inspections. These introduce errors and delays into sharing information. Although it is a type of technology that is still not being used widely in the food industry, blockchain is regarded by many as a promising technology for enabling traceability in the food supply chain. Blockchain technology is a shared, digital platform where users can store and share information across a network. This system enables users to look at all transactions simultaneously and in real-time. One of the main advantages of blockchain is that once information is added to the blockchain, it is distributed within the network and it becomes permanent. It cannot be hacked, manipulated, or corrupted in any way. This technology can deliver the transparency, traceability, and trust that has eluded the food industry for a long time. Due to its unalterable data, the system can give producers, suppliers, distributors, retailers, and consumers access to trusted information regarding the origin and state of each product or ingredient. Inspection of bottles for drinking water. These are some of the reasons that the number of food product recall cases continues to grow. A product recall is extremely costly, and it can do irreversible damage to your brand reputation. Manufacturing high quality and safe products begins with selecting the best raw materials, implementing the right production method according to international standards, and testing and proving them. This also includes choosing an accredited testing laboratory that uses current measuring and testing equipment to ensure impeccable production quality and reliable quality assurance. Packaging plays a vital role. It is also important to choose the right packaging materials and processes to ensure the freshness and safety of your products. Lastly, you also have to select a trustworthy logistics company to partner with, one experienced in the handling of food products and with an impeccable record and reputation. Fragmented information and lack of communication can have a major impact on the food supply chain. This is because there are various parties involved in the chain which have little to no knowledge of one another’s actions. Poor communication causes inefficiency, waste and can lead to mistrust among suppliers and their customers. This problem gets much worse when you are operating globally. Lack of communication should not be a huge problem today since technology has made it easier, faster, and more affordable to gain full view of the food supply chain, and communicate with your colleagues and peers. Cloud-based networks offer quick onboarding and a range of services for food companies, including a view of the complete supply chain and tools to communicate, including live chat and micro-blogging solutions similar to Twitter. This makes it easy to communicate with suppliers and other partners either privately or as a group. Communication with your suppliers deserves special mention. Its impossible to maintain high quality food products if the produce and ingredients are of poor quality. This is one area where it pays to invest in quality to ensure you have the freshest, quality ingredients and produce, from reliable and responsive suppliers. This will make it easier to maintain quality throughout the rest of your supply chain, and minimize the chances of supply shortages Your customers will thank you for it. These costs are significant, as such, keeping a check on operating costs is a constant challenge. The first step to controlling costs is to know your costs. What gets measured, gets managed. In very simple supply chains, this can be done with spreadsheets. The more complex the supply chain, the more you will need a technology solution. Very complex supply chains are probably better served with a network solution, so that you only need to integrate to the network, not to each supplier. Using technology instead of emailing spreadsheets and playing phone tag. A word of caution. Being too cost-conscious can inhibit your efficiency and growth. An “expensive” technology solution can save a lot over the long run, making your business more efficient, and more attractive to your customers. It can also modernize your business and make you less vulnerable to competitive forces. Rather than focus on cost, do a value-cost calculation, and over the long term. One area where we see a major problem is with inventory. In order to control costs and maintain quality, and satisfy your customers, inventory has to be carefully managed. Too much and it will spoil and go to waste. Too little and you disappoint your customers. There is a definite trade-off between keeping customers happy and keeping inventory and waste low. Modern inventory management solutions can help you manage your inventory. Ideally, it should enable real-time visibility to your inventory, throughout your supply chain, on-site off-site and in-transit, and support RFID, IoT and other real-time and automated tracking technologies, so that your inventory data is accurate. Another way to gain control and reduce inventory levels is to tie in the supply chain to sales at the store or restaurant. More sophisticated network solutions can “sense” demand and adjust or create orders on the fly, to keep inventory levels optimal. This can keep service levels high, and inventory and waste low. The food supply chain is a challenging one. Whether you are running a global operation or working with local suppliers, you have to ensure a high level of quality and safety for your finished products at all times. In general, the more visibility you have to your supply chain, and the more you communicate, the more effectively you can manage it. Focusing on a few core areas will deliver big results. Invest in the best suppliers, experienced and reputable logistics partners, and the right technology, and you will have a more efficient supply chain, with quality products and more loyal customers. Jad Asaad is the Marketing Manager at Horeca Trade LLC with more than eight years of experience in marketing in the food industry.